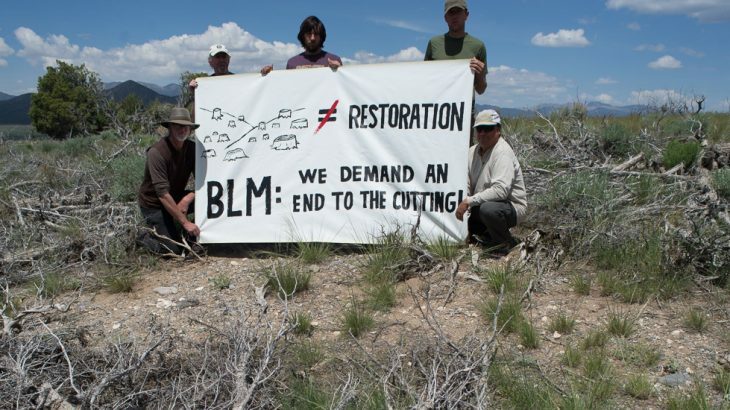 But “restoration” isn’t about saving the sage grouse. Even after all these years, we have still seen no definitive evidence that sage grouse populations are helped at all. And this isn’t about fire suppression. Do the watergrabbers really think we’re stupid enough to think that brush doesn’t burn? Actually, the biggest difference between trees and brush is that trees have deeper roots. Face it, this is about groundwater. And to prove my point; in places in the West where there were no trees, they’ve taken out the brush. It’s not like they’re “selectively” cutting down every third tree (which we personally don’t have a problem with). This is clear-cut logging! When they’re done, every tree is gone. They even come back later to kill baby trees so that no trees will come back. Essentially, this is a blatant effort to create areas of localized forest extinction! This has gotten totally out of hand. Even the heads of the Federal Agencies tasked with protecting this land are often making backroom deals with the watergrabbers. Moreover, this forest ecocide is bad for our local economy – because chopped down forests are not tourist attractions. 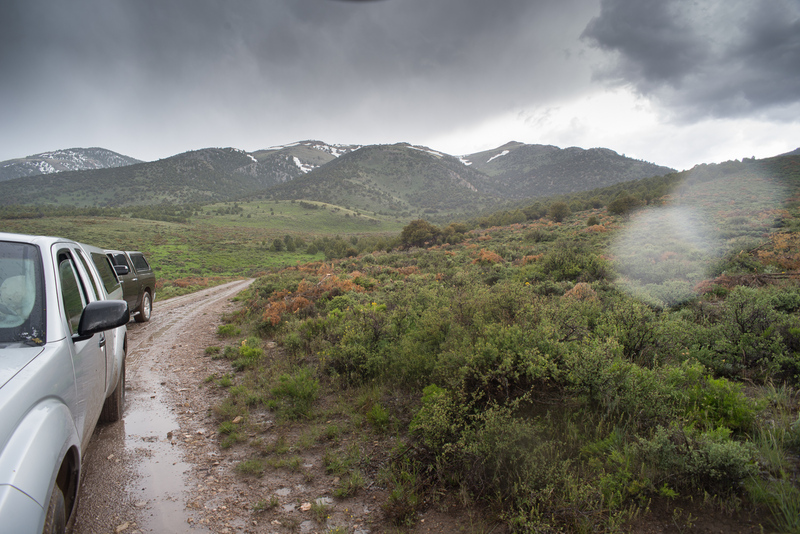 Pinion/Juniper “restoration” is a lame excuse for a corrupt practice – deforestation for groundwater. But deforestation is just one facet of our short-sighted and inevitably self-destructive rule of (corrupt) water law system – meticulously written by the greedy to enrich themselves at extraordinary expense to everyone and everything else. A swatch of destruction: Pinyon-Juniper “restoration” in the Schell Creek range, near Rick and Delaine’s home. Before it was destroyed in 2016, this was a forest they had visited regularly, and loved. 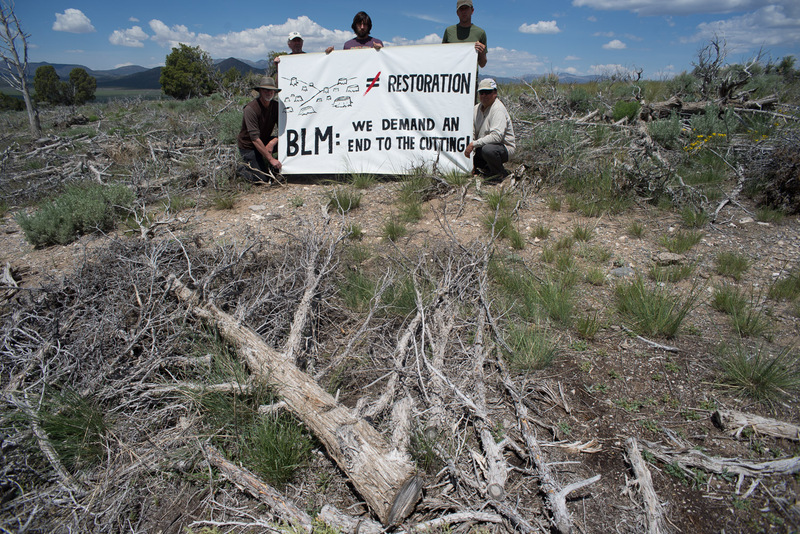 Biodiversity & Habitat Destruction, Indigenous Autonomy Bureau of Land Management, Deep Green Resistance, Deforestation, Great Basin, Nevada, Piñon-Juniper, SNWA, Shoshone, US Forest Service, Water, featured. permalink.